A key figure at the European Space Agency says we must look at how we exploit the moon’s resources before it is too late, as missions begin surface mapping and Nasa calls for bids to mine in space. Does the picture above look futuristic to you? Think again, says Bernard Foing, senior exploration officer at the European Space Agency (ESA). There are already companies working on how 3D printing could help build infrastructure on the moon, as well as missions which are beginning to map its surface ahead of bids to drill for its resources. Speaking at the EuroScience Open Forum meeting in Copenhagen, the biggest gathering of scientists in Europe, he said how the moon’s future will look should be planned now. “Precursor landers can be operated in a coordinated robotic village, with in-situ use of resources, done with respect. This would prepare a sustainable and smart path towards humans living off the land in international lunar bases,” he said. “The moon is like the 8th continent of earth – it is only reasonable we want to mine it,” he added, pointing out that this refers not only to minerals but mining for knowledge about earth’s past as well as inspiring scientific leaps forward. The possibility of mining the moon for resources, whether to use them on the moon itself or bring them back to earth, is not new. Scientists believe the rock could hold oxygen, hydrogen, iron and rare metals, as well as possibly helium 3, a resource which is rare on earth but which could be more common on the moon. They believe it could be used to energise nuclear fusion reactions and provide vast amounts of energy in a process which avoids the radioactive waste of nuclear fission, the process used in nuclear power on earth currently. Many suggest the hunt for this mineral was behind China’s first moon landing last year, and in 2012 director James Cameron – yes, he of Avatar and Aliens, both sci-fi films in which space mining feature – joined a group of other celebrities and entrepreneurs to set up a company called Planetary Resources Inc to attempt to turn science fiction into fact. Planetary Resources is also backed by Google founder Larry Page, as is another space project which Google has sponsored with $30m of prize money. 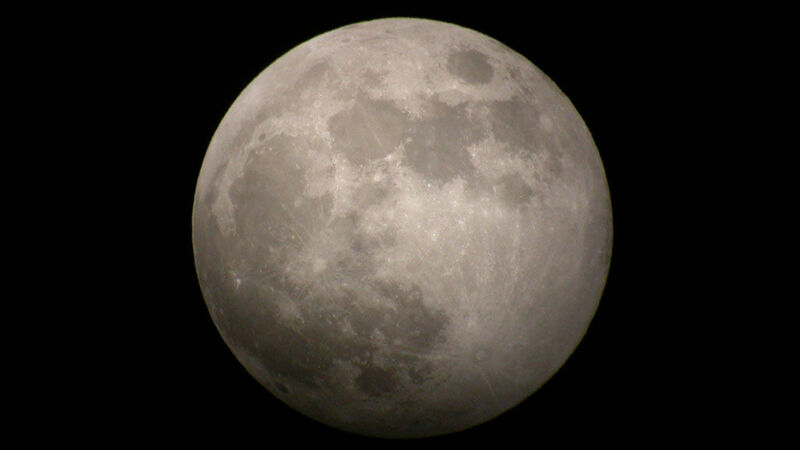 It is a competition to get a robot to the moon by 2015, which can then explore the surface and transmit video and images back to earth. The Google Lunar XPrize organisers say they will have no rights to the technology and they certainly do not want to go to space themselves – but they will have some rights to the so-called “mooncasts”. It is not just Google who are getting in on the act either. In February, Nasa called for bids from companies who want to mine on the moon. The agency has not yet decided who has won. It is the latest collaboration between the space agency and big business at a time when its budget has dwindled. Space exploration is fantastically expensive, and private companies have the money where governments do not. Partnerships of this type help service the International Space Station (ISS). As well as mining the moon, scientists say it could provide a base for wider space exploration as it is much easier – and cheaper – to launch missions from the moon rather than earth because it has only one-sixth of earth’s gravity, and no atmosphere. But the spread of big bucks capitalism to outer space is, some say, concerning: is it right that the moon could effectively fall into the hands of the highest bidder? That is in part what the ESA wants the world to consider, before it is too late.